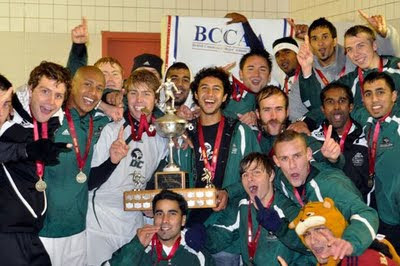 Tom Malencia is a member of the Douglas College Royals Men’s Soccer Team, which won the provincials on October 25. Tom and his teammates are headed to Toronto for the nationals November 4-7. See photos from the provincials on the BCCAA fan page. His posts will also be appearing on the Vancouver Sun School Sports Zone blog.